On 13 July, inshore lifeboat George Bearman II launched at 5pm to a solo sailor on board a 20′ sailing boat aground at Rodney Bay. 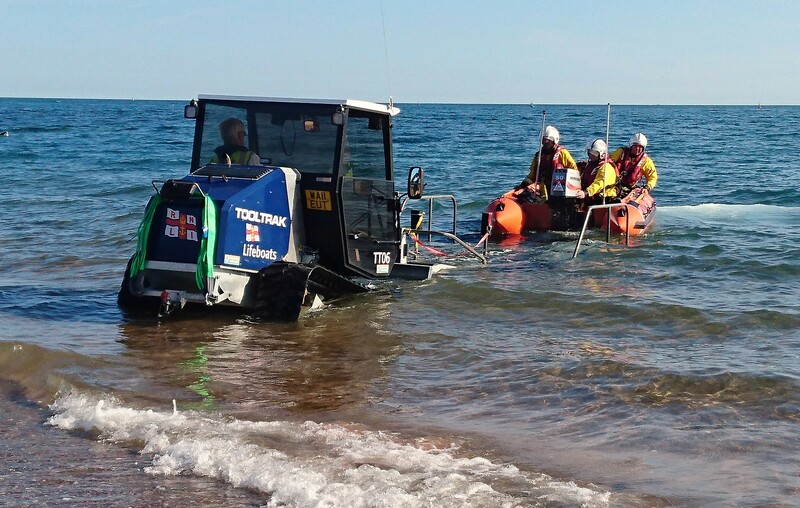 Crew were on scene within three minutes and discovered a passer-by in the water trying to hold the boat off rocks, who was at risk of injury himself. A Crew volunteer went on board the casualty vessel, attached a tow line and the D class lifeboat pulled the casualty clear off the lee shore. The engine was started and George Bearman II escorted the man to Exmouth Marina, to safety. The Casualty had very low fuel, no lifejacket, neither safety equipment nor navigational charts and seemed to have limited knowledge of both sailing and the local area. Crew volunteers gave him safety advice and suggested not to continue with his passage from Plymouth to Portsmouth that evening. George Bearman II was ready for service again at 6pm.